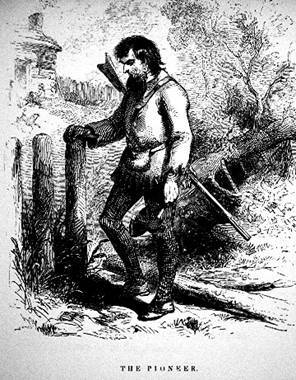 Excerpt from "Western Characters, or Types of Border Life"
Was an author, born in Jacksonville, Illinois, 11 November 1826; died there, 17 January, 1862. 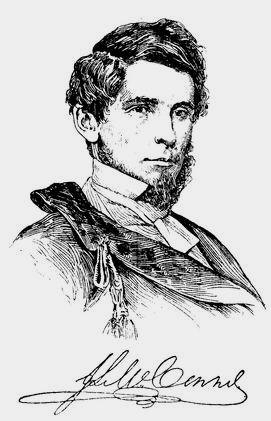 His father, Murray McConnel, fought in the Black Hawk war, was in both branches of the legislature, and in 1855-'9 was fifth auditor of the treasury. John studied law under his father, and was graduated at the law-school of Transylvania university, Lexington, Kentucky. In 1846 he enlisted as a private for the Mexican war, became 1st lieutenant of his company, and was promoted to captain after the battle of Buena Vista, where he was twice wounded. After the war he returned to Jacksonville and practiced law there till his death, which was caused by an illness that he had contracted in Mexico. 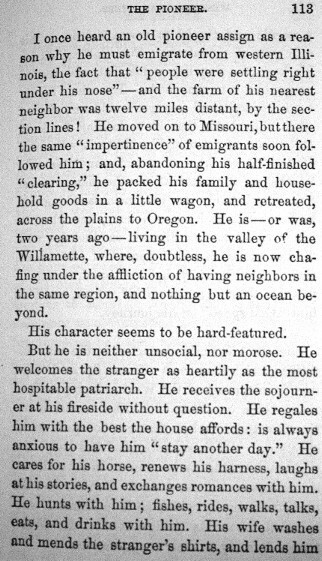 His books, which illustrate western life and character, include " Talbot and Vernon" (New York, 1850): "Grahame, or Youth and Manhood" (1850); "The Glenns" (1851); and "Western Characters, or Types of Border Life" (Boston, 1853). At the time of his death he was engaged in a work to be entitled "History of Early Explorations in America," with special reference to the labors of the early Roman Catholic missionaries.